Steve DiMarco, a Texas A&M University researcher who has recently been studying the Gulf of Mexico, says the “dead zone” this year is considerably smaller than usual, measuring about about 2,600 square miles, a little more than the size of the state of Delaware. DiMarco is a professor of oceanography and one of the world’s leading experts on the dead zone. He recently surveyed the area from the central cost of Texas to the Mississippi River delta in Louisiana. 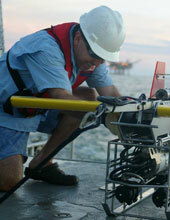 The research team he was leading found only several patches of oxygen-depleted water (hypoxia) in the Gulf. Hypoxia is the name given to a phenomena that occurs when oxygen levels in seawater drop to dangerously low levels. Persistent hypoxia potentially results in dead fish and harmed marine life, thus creating a “dead zone” in the affected area. 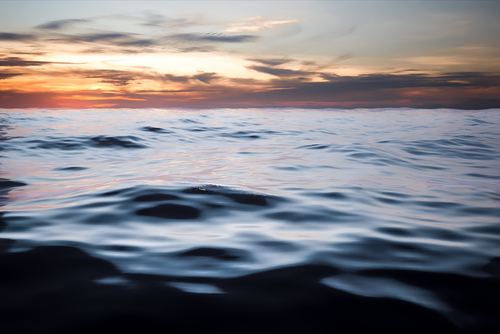 According to an annual survey by a research group from the Louisiana Universities Marine Consortium (LUMCON), the dead zone has measured an average of 5,000 square miles during the past five summers. Providing an estimate of the dead zone’s variability over the course of the summer is the objective of DiMarco’s June survey. Nutrient pollution from farm fertilizers and other land-based sources emptied into rivers such as the Mississippi and eventually making their way into the Gulf are believed to be causing such low levels of oxygen. The nutrient runoff, as well as the volume of freshwater discharged and prevailing winds, which control the freshwater river plume’s movement, are known to influence the size of the zone during Summer. The largest river in the United States, the Mississippi, drains 40 percent of the land area of the country. Moreover, it accounts for almost 90 percent of the freshwater runoff into the Gulf of Mexico. The National Oceanic and Atmospheric Association (NOAA) Center for Sponsored Coastal Ocean Research supports DiMarco’s research on the dead zone, as part of its long-term plan to advance science in order to inform management practices in and around the Gulf with the objective of reducing the hypoxic zone. “Why it is a bit smaller could be a combination of several things – including lower nutrient loading and lower freshwater volumes from the Mississippi River or prevailing southerly winds across the continental shelf in June,” he explains. For this year’s research, DiMarco used new tools called ocean gliders. These are torpedo-shaped cylinders which were laid in the Gulf to communicate key information back to shore. The information they conveyed included ocean temperature and salinity, and most importantly, dissolved oxygen concentration of the seawater. Two of these gliders are now operating in the Gulf’s dead zone and transmitting critical information via satellite every six hours, DiMarco says. Researchers plan to keep the gliders in the water until early September 2014. The Gulf of Mexico Coastal Ocean Observing System (GCOOS) and the NOAA Integrated Ocean Observing System (IOOS) make the data they provide available to the public. Both GCOOS and IOOS are funding the glider aspects of this experiment.